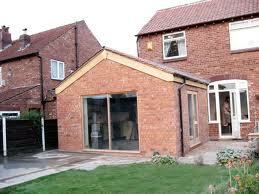 Single Storey Extensions clearly come in all sorts of shapes and sizes, and fit budgets accordingly. 1 Before you start you will need to check your deeds to ensure there are no covenants preventing you from extending your property. A solicitor will be able to help with the language used on your deeds. 2 While the regulations governing the construction of a single storey extension are relatively straight-forward you will not always need to go through planning. If, for example, you are converting a garage you may not require permission if the building is not enlarged and the majority of the work is internal. Building Regulations will however need approval if you are filling the garage door, adding ventilation, altering the flooring, adding drainage etc., which is likely to be a certainty. 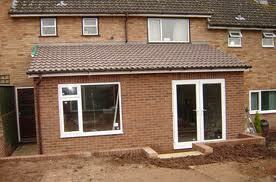 3 Prior to the commencement of works you should check whether there is a cost benefit. If you simply need the additional space and costs are not important it may not seem relevant, but any such project should be weighed up against the costs of moving. 4 It is worth checking through images and walking around your local area to get ideas and inspiration before you speak to an architect or look for standard plans. 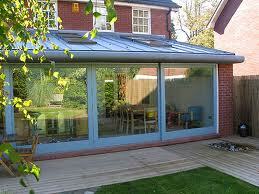 It may be that what will fit in with the extensions in your area may not suit your needs. 1 A descriptive term in many respects; most will be two storey extensions. If you property is below the height of others in your road you may get permission to build higher than your roof, but we will work on the principle that it is a double storey extension. 2 Two storeys will enable you to add a bedroom or bedrooms upstairs, or even a self-contained ‘Granny Flat’. In either respect it will add significant space to your existing property and you will want to make best use of the additional space to increase value by at least the cost of the build if possible. 3 Cost per square metre is lower than that for a single storey extension simply because the ground works and roof only have to be built once, despite the doubling in space of floor space. 4 If you are planning on adding multiple storeys you should be aware that this sort of improvement is likely to be scrutinised most closely by Town Planning, as by their very nature they could affect loss of light to neighbouring properties. Materials used will almost certainly have to be in keeping with the existing building and / or buildings in the road. 5 A larger extension of this nature really does give your property an extra dimension, quite literally in some cases, as extensions can be on the side or at the rear of the property. To meet planning requirements the roof height may be lower than the main roof height because of conflicts relating to existing eaves heights. 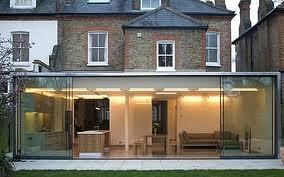 It is often the case that a side extension may be lower than the main house.